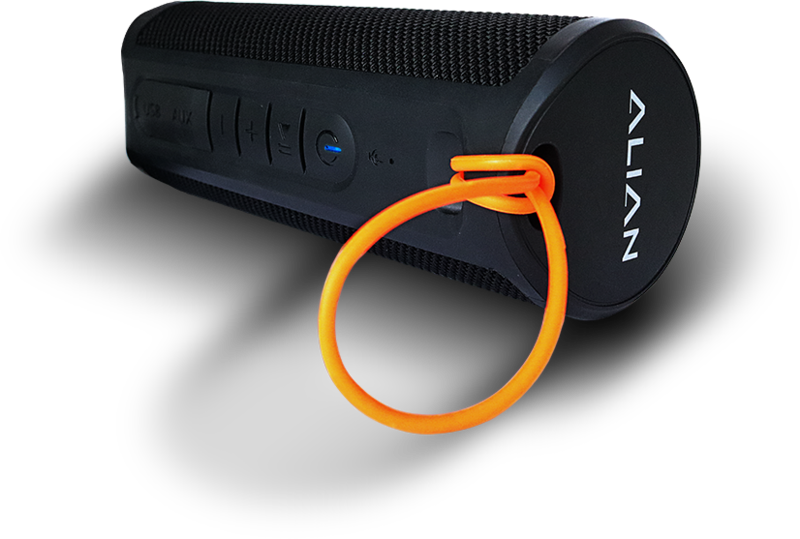 There is integrated 2x5W amplifiers for each cylinder, combined with 2x2'' low frequency radiators, plus a subwoofer on each cylinder, it enhanced the sound quality not only on high, but also on mids and lows. 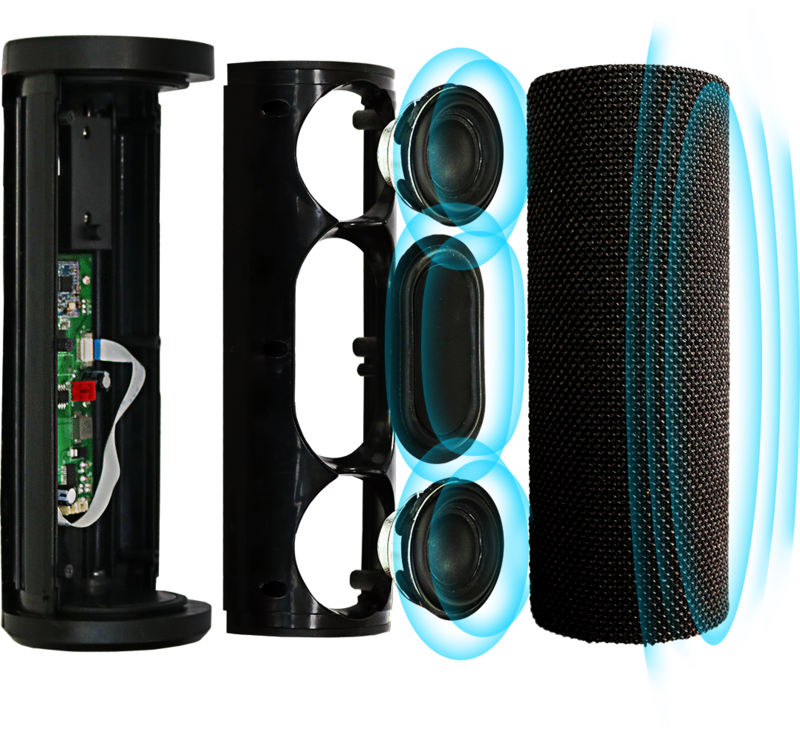 It has two drivers along with a passive subwoofer, and the way the drivers are designed gives the speaker a more expansive sound spectrum. Bluetooth Standard 4.1 make the connection prompt and stable. 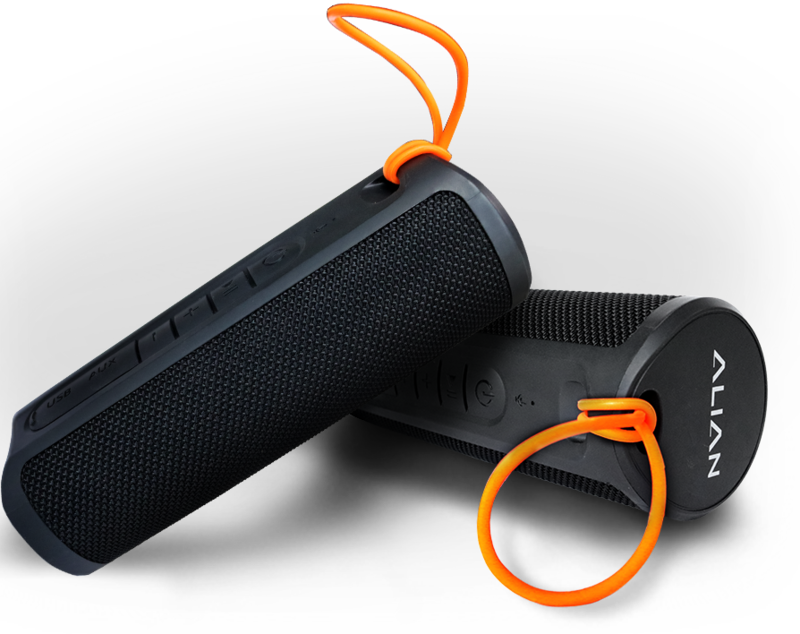 The speaker is made of waterproof fabric body. 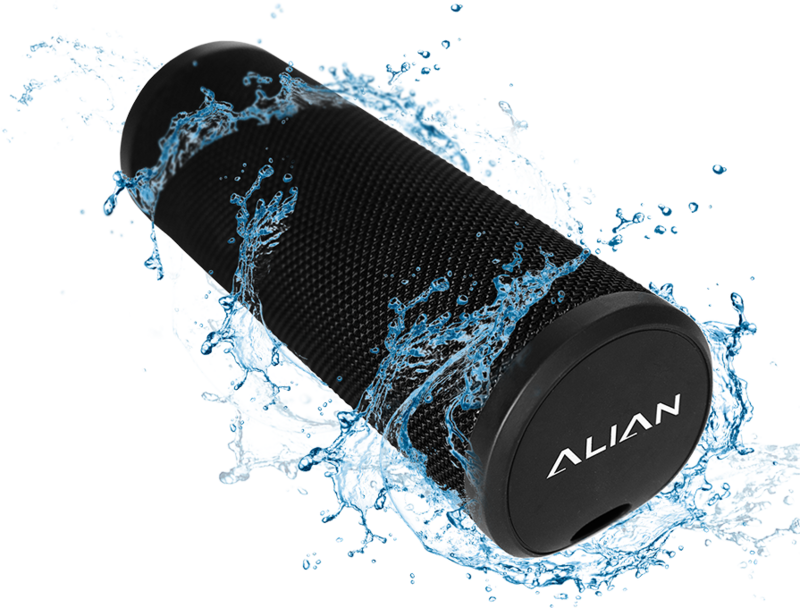 By testing, flush Z4 speaker by running water for seconds, there is no water aboslutely inside! And appears to be well-built -and it's certainly eye- catching. How to connect a mobile phone? How to tune FM channels? How to decrease/increase the volume level? What is the charging voltage? What is the operating range in wireless mode? © 2018 Earthyellow All Rights Reserved.